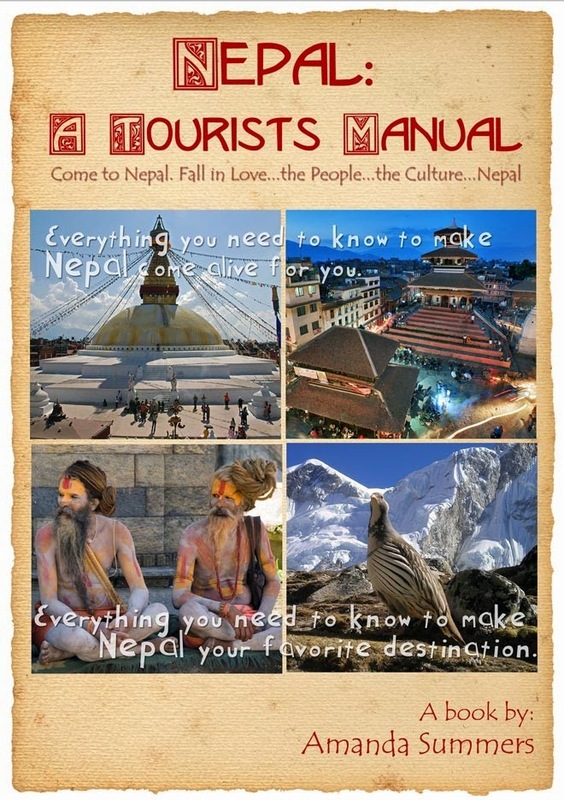 Nepal: A Tourist's Manual: Coming to Nepal During Monsoon-Landslides? Coming to Nepal During Monsoon-Landslides? People ask me about coming to Nepal during the summer time in regard to landslides. I’ve never really heard much complaining because everyone who comes here seems to be so excited about being here. My concern is usually for the weather patterns in the Kathmandu Valley, which is usually quite manageable. Sometimes it rains all night or all day, but most of the time it rains for ten minutes or so at a time if it's a heavy downpour. That usually means it's tea time. I just duck into a local tea spot and make the most of it. Other times everyone just huddles under the eaves. It usually doesn't take long to let up enough for everyone to move on. “Landslides can be triggered by earthquakes, volcanic activity, changes in groundwater, a disturbance or change of slope. Intense rainfall over a short period of time tends to trigger shallow, fast-moving mud and debris flows. Slow, steady rainfall over a long period of time may trigger deeper, slow-moving landslides. Different materials behave differently, too, ” according to TechMediaNetwork. http://www.livescience.com/32373-what-is-a-landslide.html Certainly mountainous terrain such as these photos show give you an indication of why landslides could occur; there is nothing to hold the soil. Cattle and other animals on the trail should be approached with extreme caution. The US and Canada have some huge landslides as does any country where they have mountainous terrain. Volcanoes, earthquakes and monsoons all contribute to this problem and because Nepal has one of the biggest differences in elevation, 70 meter in the Terai to Mt. Everest at over 8,800 meters, its ideal terrain for landslides. Not only do the vast changes in elevation contribute to the problem, lack of infrastructure and the heavy rains of the monsoon make matters much worse in Nepal. Additionally, we have the usual deforestation issues, some strip mining for brick production, a growing human population, etc. that also can contribute. Fortunately, the Nepali government earns enough from tourism that they are making an effort to keep Nepal beautiful. Be careful to follow all the environmental laws while you are trekking. They are really serious about them. A few months ago a couple of tourist friends went to Eastern Nepal. They were both horrified as they looked out the public bus window to the terrain below. Not only are landslides a possible danger for those riding on buses, but riding on public buses is an act of bravery in itself. They are notorious for breaking down or going over the cliffs. I suggest inspecting the bus before you get on. Check the tires and overall condition. There are many buses leaving everyday so you never have to accept the first bus you see. Some look to be older than the majority of passengers while others. Many buses were not luxury from the start, but for the same price you can choose a much newer bus with high-back seats and extra leg room. Seriously, if you are taking the public bus instead of a ‘tourist’ bus you will need to do the best you can to get a well maintained, newer, higher end bus. Yes, this is a goat on the bus. Notice these seats. This bus would be very uncomfortable. If you come to Nepal during the summer months you will need to be aware of the landslide issue. When you are ready to go outside the valley for your trekking you should check the weather and make sure it isn’t a heavy rain climate system. If you use a trekking company you should hold your ground and be sure to synchronize your trek to the weather pattern. If you need to wait a day or two to start the trek, so be it. Do not allow the trekking company’s need to earn money to manipulate you into doing a trek if the weather looks like it will make landslides more likely. Thanks to Sven Shuster, Germany, for the photos. 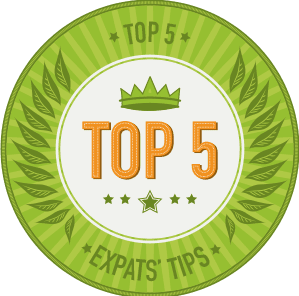 Of the blogs about Nepal I found through Expat-Blog.com, yours seems to be the most helpful and useful to me. For several years, visa runs were ineffective because of the two-month out rule (applicable in India). At other times, I chose not to make visa runs because, at those times, I wanted to visit Cebu and/or Singapore. 1) It is apparently 3km from Raxaul (India) to Birganj (Nepal). Am I allowed to walk it, or do I have to take a bus or other form of transportation? 2) I believe that Nepal has a one-day visa available. I am scheduled to arrive at Raxaul at 8:00am on 21 July and to leave at 10:00am on the 22nd. Can I get this one day visa? 3) I believe that I read somewhere that this one-day visa is USD5.00. Do I have to pay for it in U.S. dollars, or can I pay for it in rupees? 4) Do I have to stay in Nepal for a day, or can I stay for just a few hours? If I have to stay for a day, then what is a day? Do I have to stay 24 hours (so that I would have to leave about two hours before my train departs back to Kolkata) or can I leave Nepal at about midnight on the 22nd (night of the 21st)? 6) Is English well known in Birganj? I am sure that I have other questions and concerns. When they come to my mind, then I shall write them here, although if you can provide as much helpful and useful information then I shall be grateful.